The Licensed Battlefield Guides of Gettysburg are licensed and regulated by the National Park Service. They are the ONLY individuals legally allowed to conduct visitors around the Gettysburg National Military Park! Guide fees are established by the Superintendent of the Gettysburg National Military Park acting as the representative of the Department of the Interior / Director of the National Park Service. The two hour tour is standard but many opt for longer three-hour, four-hour, and occasionally all-day tours. May be arranged at a prorated fee ($31.50 for 1-6; $41.50 for 7-15; $66.00 per hour for 16 and up). Please arrange this with your guide before beginning your tour so he/she may adjust their availability time. Guides are often scheduled for tours immediately following yours so early arrangements for longer tour times will make that scheduling process much easier. 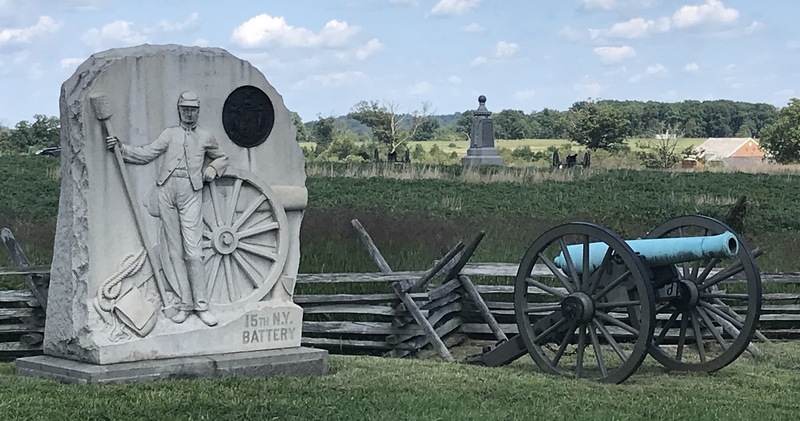 Virtually any battle related topic and many other Civil War battlefields has one or more guides that can be called upon. Please contact the Association of Licensed Battlefield Guides (ALBG) if you desire additional information or have special requests. Please click here for more information on making RESERVATIONS.